Warm, dry feet make a huge difference in winter riding. Merino is a great natural fibre for performance socks; light and warm with excellent wicking properties, non-itchy and a resistance to odour. Q36.5 have taken things a step further with the addition of silk. 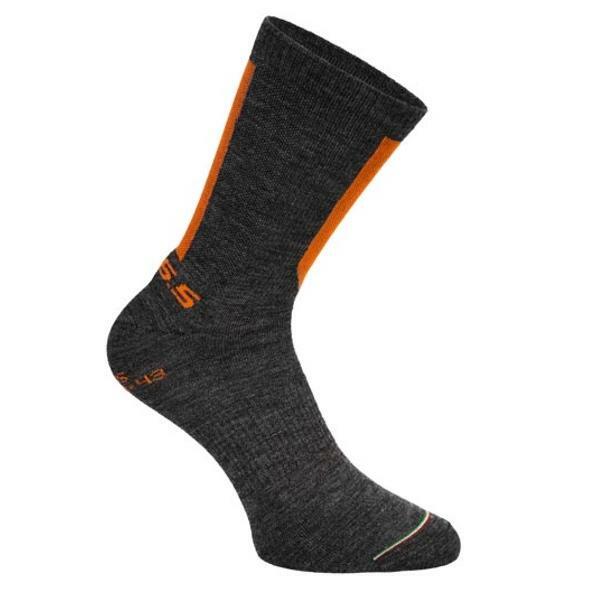 This allows the socks to be both thinner and lighter than typical winter socks whilst retaining great insulation. Please note that this wool-silk thread blend will shrink slightly (though not enough to necessitate wearing a larger size than usual). For ultimate zero-crease contoured fit Q36.5 recommend cold washing the sock before first use.